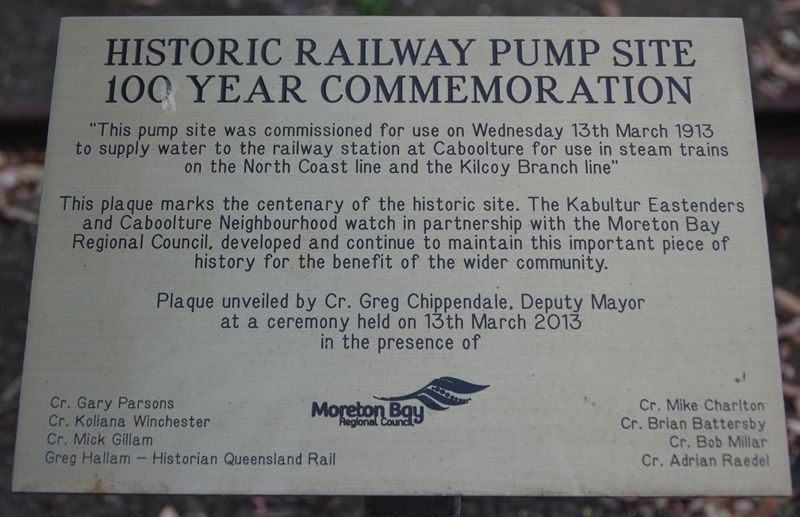 A plaque commemorates the centenary of the Railway Pump site. This plaque marks the centenary of the historic site. The Kabultur Eastenders and Caboolture Neigbourhood Watch in partnership with the Moreton Bay Regional Council, developed and continue to maintain this important piece of history for the benefit of the wider community.